The YWCAs in Lynn, Lawrence and Haverhill are committed to honoring the generosity of donors by assuring that more than 85% of every dollar raised supports vital programs and services. We invite you to review our Financial Information including our Annual Audits and Annual Reports. As a 501[c]3 non-profit organization, we depend on gifts from individuals, corporations and foundations to improve the lives of more than 15,000 women, children and families we serve each year in our Lawrence, Haverhill, Lynn and Southern NH sites; all gifts are tax deductible. Outlined below are the ways that you can invest in our work to help break cycles: of poverty, of abuse or of neglect, right here in our community. The easiest and fastest way to make a difference is with an online donation. 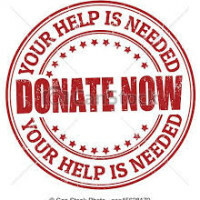 Via our secure PayPal site, you may make an online donation in any amount, any time of year. 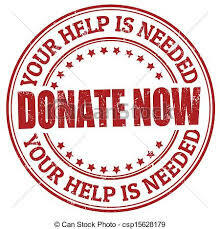 All monetary donations will go to our Lynn office to support our work with survivors of sexual violence. There are times when you want to say something special to a family member, friend or associate, and gives you a unique opportunity to commemorate a birthday, anniversary, wedding, holiday, retirement, graduation, or the loss of a loved one. Your thoughtfulness will be acknowledged immediately to the person or family you choose to honor. If you would like to make such a gift, please contact Susan McNeff at our Lawrence office. Many workplaces today offer the opportunity to make a donation to the YWCA of Greater Lawrence through a simple payroll deduction. If your workplace is involved in the United Way or Combined Federal Campaigns, you can specify the YWCA of Greater Lawrence as the recipient of your support. Be part of the future of the YWCA by remembering us in your will. For more information, please contact Susan McNeff. As we are not a drop off center, please call us at 781. 477.2313 to arrange a date and time to drop off your donation. Please note that we are not a donation facility, and cannot accept other items than those listed above.